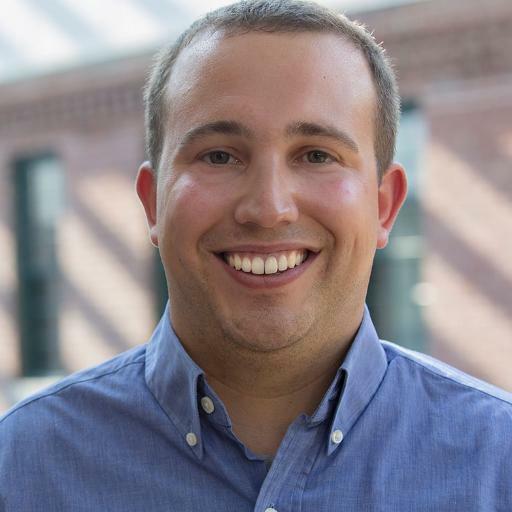 But now -- 11 years after HubSpot first came into existence -- these transactions are starting to become diversified, and so are the reasons why we have them. 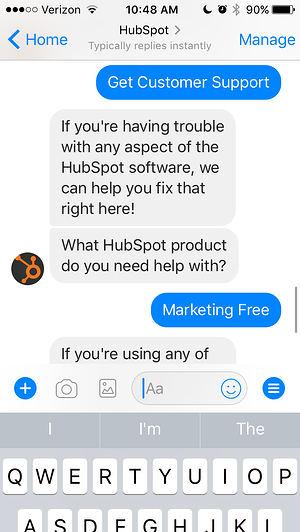 I’ll admit it: For many marketers, the motivation behind these exchanges used to be, “So I can sell my product.” Then, it evolved into, "So I can help my buyers." But today, that doesn't cut it anymore -- not when information is becoming greater in quantity and more accessible, and not after communication methods have evolved to the point where they are now. 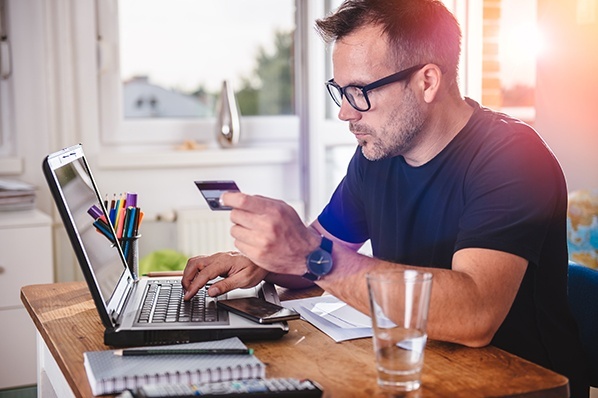 Now, the motivation has evolved from the point of, "So I can help" -- a founding principle of the Inbound Methodology -- to, "We're changing the way buyers can be helped." The form, for example, is slowly starting to date itself. While it serves an important purpose in certain use cases, it doesn't always meet the needs of today's buyers; for example, when they need information quickly, across different devices, or in the online ecosystem they're using. That means leveraging those evolved communication methods to create a tighter relationship between a given buyer’s behavior and the type of transaction she’s having with you. That’s why it's time to make these exchanges more innovative, and build more than one linear conversion path to match increasingly diverse consumer communication and buying preferences. Here’s what that looks like -- and what happened when we tried it. Think back to the time when on-site live chat first became available to customers. We like to think of it as a “1.0” version of buyers engaging on your website -- one of the first options ever made available to get a quick answer to a question that didn’t require a phone call or email. But the reason why we think of it as “1.0” is that, while it's far from obsolete, reaching customers and prospects goes beyond chat -- largely because options and preferences have expanded and evolved. Buyers and marketers tend to view that phenomenon from different perspectives. For the former, it’s about having conversations with brands where and when customers and prospects prefer -- largely because the world has changed, and 80% of internet users report suffering from "information overload." But with that also comes a new level of options, which means that your organization isn't the only one with leverage anymore -- or the only one that can give buyers what they want. And more options = less patience in waiting for information. Marketers don’t always view interactions with that audience in the same way. We tend to view things through the conversion funnel, which is a visualization of the customer journey, starting with the moment she discovers your brand -- at the top of the funnel, or TOFU -- to when she converts to a customer at the bottom of the funnel, or BOFU. But in order to be successful, we can’t focus on strictly one POV. While it’s important to look through the perspective of the funnel at that journey (and the way we reach our audiences throughout it), we also have to examine what those efforts look like on the receiving end -- in the buyer’s shoes. When it comes to interaction between buyers and brands, there is no one-size-fits-all option -- and even if there was, it would become commoditized very quickly. After all, that’s the historical pattern of human buying behavior. To understand that, we have to look at this interaction and the funnel from both sides. Each part -- the top, middle, and bottom -- corresponds with a stage of the buyer’s journey: awareness, consideration, and decision. At the top, the visitor is conducting research and looking for answers to a problem. In the middle, she starts to consider if your solutions are the best for her, and at the bottom, she’s narrowing her buying choices and making a final selection. As marketers, the nature of our communication with the potential customer should vary at each stage. But as leads are nurtured through the funnel, it's important to send the right messages at the right time. Asking someone to book a meeting with you after only reading your blog post, for instance, is a communication mismatch, since the reader probably doesn’t know enough about you to want to have that conversation. Which brings us to the importance of viewing the buyer's journey through the eyes of ... the buyer. That means websites that aren't SSL enabled will receive penalty rankings, which lowers a site's discoverability chances and, as a result, on-site conversion opportunities. If there are two otherwise equal sites, for example, that are currently both ranking for similar topics, if only one is SSL enabled, it's going to be ranked more favorably. But here's where that really plays into the conversion path: even prior to this rollout, Google flags sites that are not secure and ask for personal information, like credit card numbers and SSN. The changes on October 17 will cause Google to flag all forms, including those used by many B2B brands for lead generation purposes, as not secure. That presents an even greater need than ever for alternative conversion paths, like chat. And while creating diversified communication options to match consumer preferences is crucial, limiting them to forms will now have greater SEO implications, too. To be clear, these changes and favorability for SSL-enabled sites don't apply to on-site live chat. The security for those communication tools is typically managed on the back end by the provider of this technology. But in any case, it presents another case for off-site chat platforms like Messenger and WhatsApp becoming even more helpful, immediate resources for communication with customers. Today, we still have blog posts and gated content offers at the top of the funnel, and we stand by the idea that creating blog posts that are relevant, evergreen, and helpful remains a viable tactic for attracting visitors. But now, there’s also so much more content at the top of the funnel, and it's in more places. People discover brands and content through more than just searches for information, and they often have their first encounter via social media. Another reason has to do with what happens after the form submission. When an inbound lead is routed to our sales team, a rep will call or email the lead to offer some advice and hopefully schedule a meeting. But what about buyers who want to cut to the chase and call the sales team directly instead of vice versa? What about people who don't want to take a phone call at all? We’re living in what I like to call the “post-now” -- where forms still exist, but they're joined by things like messenger apps, bots, and on-site chat. From the buyer’s perspective, these forms of communication provide alternatives when they prefer not to make phone calls, and quicker exchanges for those who want an instant solution. That brings us back to the marketer’s role. To meet the buyer’s POV, you need automation -- in a way that is scalable across your audience, with limited human involvement, that results in a quick solution. How do we combine the buyer’s and marketer’s perspectives to nurture leads on their terms -- where they want to have an exchange, and in a way that’s most convenient and comfortable for them? 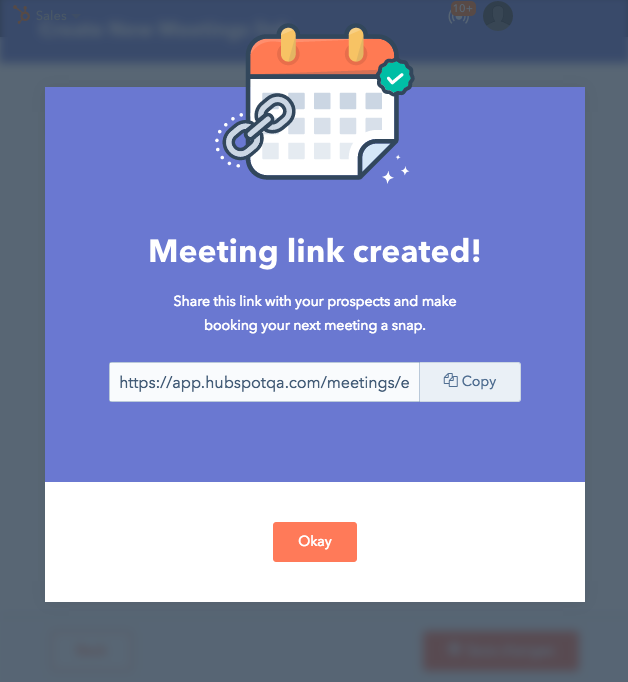 Book a meeting: Prospects can put time directly on a sales rep's calendar with the help of a personalized link. Given that there's no one-size-fits-all solution for this interaction, there's also no simple answer to this question. For each section of the funnel, there are some paths that are more appropriate than others. On this level, messaging is a heavy-hitter -- and within that, you have multiple layers, like Facebook Messenger, on-site chat, and other messaging platforms, like Slack or WeChat. Then, there are bots, which aren't about starting the conversation, but more about automating it in a way that's managed on the back end, to determine which human might be needed to respond to a particular question, problem, or request for information. Buyers should be able to ask questions during their initial awareness phase and get a quick response, which can be enabled by this technology. On-site chat functions in a similar manner, but we caution against limiting your messaging options to just that. Remember what I said earlier about the buyer who doesn’t want to leave Facebook to interact with you? Forcing someone to go to your website to message you restricts possible conversion paths for those who discover your content on social media -- an off-site platform. We think of the content that attracts the visitor in the first place to be a crucial part of the conversion path. 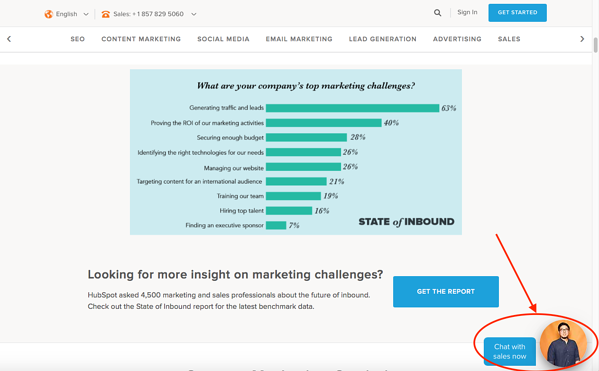 It's at the very root of the inbound methodology: attract readers with quality content, and lead them down the conversion path. But now, the content itself has also become diversified. Take the customers we mentioned earlier, for example, who first engage with a brand when they consume its video on Facebook. As we noted, it would be inconvenient for that person to navigate to a third-party site to fill out a form, which is why we’ve put conversion communication mechanisms in place within Facebook, like Messenger. 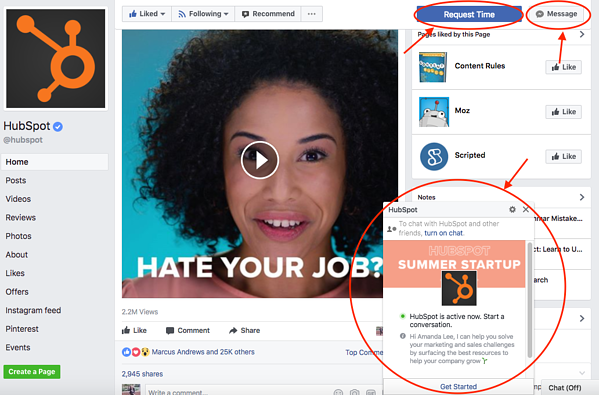 It hasn’t replaced the process of reading a blog post and clicking a CTA at the bottom -- it’s merely adding more options for users. That’s why we think of video -- which is something that about a quarter of marketers have named as a top priority this year -- as its very own conversion path. The same concept applies to freemium tools -- the products or services, usually digital, that are made available for free, with the option of adding premium features or functions for a charge. Again, there isn’t an exchange of money at this stage, but there’s still the beginning of a transaction with a user discovering your brand by way of a helpful tool. Even if there’s less information exchanged here, with something like a freemium tool, you’re providing greater context to users about the value of your product and brand. It goes back to the idea of helping instead of just selling -- you’re learning more about the consumer in a way that enhances and improves her experience. The key here is that, again -- just like in the TOFU stage -- the path meets the contact where she already is. In this case, the option to book a meeting makes it easy for her to take the next logical step in her buyer’s journey without abandoning the content platform for a third-party site. We’ve observed that, at this stage, the availability of immediate communication becomes the most crucial. And that makes sense -- contacts typically have already done their consideration and research. They’re ready to buy, and they’re ready to do it -- now. Why the emphasis on instant solutions? At the decision phase, the buyer has become even busier, even more committed, and even more impatient. So, buyers need the right, immediate mechanisms to purchase. At the bottom of the funnel -- when they want to talk to someone right away -- a form is far from the best way to do that. 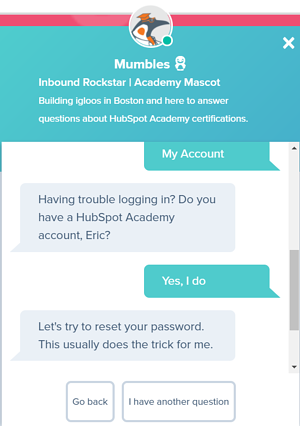 Here's where on-site chat (either automated, or with a live sales rep) can become particularly helpful. Again -- providing a range of communication options is key. 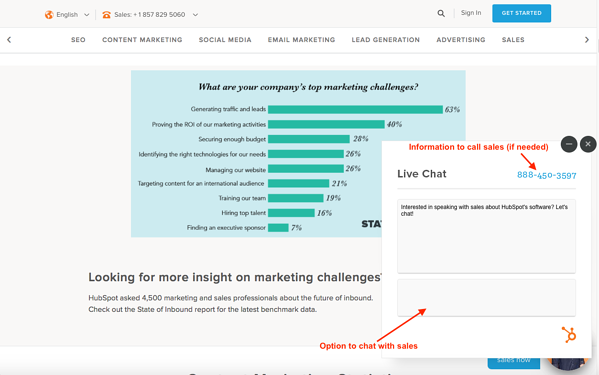 Maybe some customers don’t want to enter their payment information into a chat box, which is why there should still be options throughout the funnel -- particularly at the decision stage -- to call sales directly. Cool, huh? Naturally, we wanted to try these new conversion paths out ourselves -- and we had some intriguing results. So, people do still talk on the phone. That is -- when they want to. I wish we could say that the results surprised us, but -- if we’re being completely transparent -- they didn’t. What are the different conversion paths you’ve been testing? Let us know about your best experiments in the comments -- and hey, we might even feature it on our blog.